​Purchase through the school SCRIP PROGRAM. Buying any gift cards for a special event or birthday? A great new service, called SCRIP is being offered through the Bartelso Parent Faculty Club where you can purchase a gift card at the full amount requested and the PFC will benefit from it. 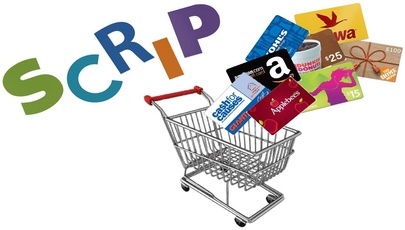 The beauty of scrip is that you earn money for our school just by making your regular household purchases with scrip at participating retailers. Use the gift certificates for food, clothing, entertainment, or gasoline, or purchase them as gifts. With every purchase, you are earning revenue for our school without spending a single additional penny and you don't have to sell anything!!! Want to know how the program works? Check it out!